Rhizosphere microfungi were isolated by using serial dilution plate method. The highest fungal population was recorded in rainy season as compared to other seasons. Thirty-six fungal species belonging to fifteen genera were recovered throughout the seasons with the highest population and relative abundance of Cuninghamella burtholletiae (8.4%) followed by Mucor varians (7.5%) and Penicillium frequentens (7.2%) and lowest by Cladosporium cladosporioides and sterile mycelia I (0.5% each). The members of ascomycetes (66.67%) were dominant in the study site followed by that of Phycomycetes (20%), Basidiomycetes (6.67%) and sterile mycelia (6.67%). The highest fungal diversity index was found in summer (3.33), followed by rainy (3.17) and winter (2.98) seasons. The greatest similarity index in soil fungi occurred between summer and rainy (88.52) seasons followed by winter and rainy (76.92) and winter and summer (72.72). 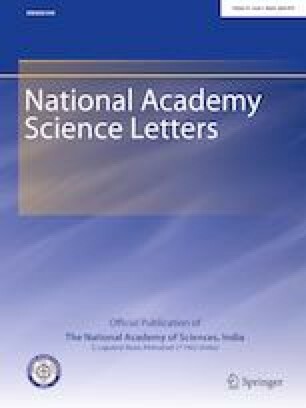 Significant positive correlations were observed between moisture and available nitrogen with fungal population in winter season, while soil temperature, moisture, organic matter, organic carbon, available nitrogen and available potassium showed positive correlations with fungal population in summer and winter. Isolated saprophytic fungi were also found dominant over the pathogenic isolates of the specie due to their antagonistic behavior against the pathogens.